Heyl Royster's paralegals work in a fast-paced, collaborative environment. The paralegals are an integral and respected component of the practice teams. We look for bright, personable candidates who want to be part of a firm that places an emphasis on client service, professionalism, innovation and ethical standards. Heyl Royster is committed to hiring and retaining excellent paralegals who are dedicated to working in a team environment. Our compensation structure is competitive with other regional law firms and is designed to reward outstanding performance. 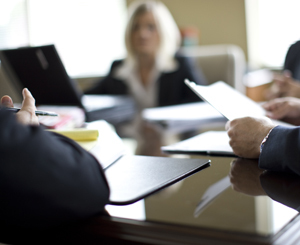 Each paralegal receives a formal evaluation on an annual basis. Compensation changes are made at the beginning of each calendar year and are determined by the Board of Directors based on input from attorneys. Bonuses are discretionary and are based on team and individual performance.